Businesses are now focusing on shorter outsourcing contracts, according to a new report from Ovum. 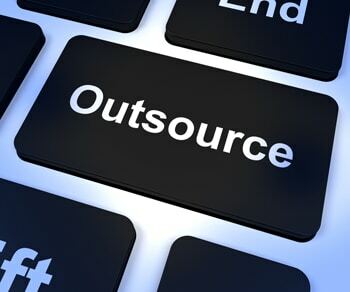 The report acknowledges that IT outsourcing will reach 4 percent growth by the end of 2014; but rather than outsourcing permanent functions to overseas providers, many of these businesses are opting to outsource only small, temporary functions. Titled Outlook for the Global Outsourcing Market at the Tail End of the Financial Crisis, the Ovum report seems to dispute previous news that the outsourcing market is now in decline. In fact, Ovum found outsourcing is a growing segment of current business. However, the report does state that now the economy appears to be improving, companies no longer rely on outsourcing as a way to save money. Instead, sending functions and tasks overseas is more of a productivity enhancer than a method of cost saving. In a statement, Ovum observed that contracts totaling $146 billion in outsourced work will expire by the end of 2014. As those contracts reach their deadlines, Ovum expects to see a shift toward outsourcing to multiple vendors (known as multi-sourcing). The trend toward using the cloud will also grow, which will force outsourcing service providers to compete with other cloud providers. Reuner said much of the growth in outsourcing over the coming months will be in application management and finance and accounting. Business Process Outsourcing (BPO) will become a vital part of the market as firms gravitate toward process-led projects. Many businesses have grown comfortable with outsourcing small projects to providers. But the Ovum report supports the growing notion that instead of permanently shifting a major aspect of an operation overseas — customer service call centers, for example — companies are more likely to outsource a small, temporary function. An outsource provider may help redesign a website or extract data for research purposes, for example. Businesses are also recognizing that by outsourcing more mundane processes, they can allow their full-time staff to focus on higher-level operations. Instead of spending hours conducting research for a report, the business owner can offload that assignment to an outside provider for a small fee while in-house staff turn their attention to bringing in new clients or strategizing future research needs. Adding to the continued success of outsourcing programs is the fact that technology has opened up options for U.S. companies. Thanks to free Voice over Internet Protocols (VoIP) and 1800 number forwarding services, workers can now communicate with providers around the world at little-to-no cost. This ensures a provider can offer project updates on a regular basis while staying on budget. Reuner specifically cites a shift toward lead-generation projects as a challenge for outsource providers. Businesses are seeking to capture customer information in order to market directly to those customers, resulting in more targeted campaigns that will keep operations in house. These businesses are focusing inward in order to create a more customized experience for each customer. This combines a use of in-depth customer knowledge with data analytics that can be automated. Still, for small, administrative functions, outsource providers can take over, helping businesses avoid having to devote full-time staff to spending hours conducting mundane functions that waste their talents.